Hello Group is a company most well-to-do South Africans have probably not come across. But in the mass market, and particularly in the migrant worker community, the telecommunications and financial technology (fintech) services company is fast becoming a major brand. The company was started 10 years ago by brothers Nadir and Shaazim Khamissa. 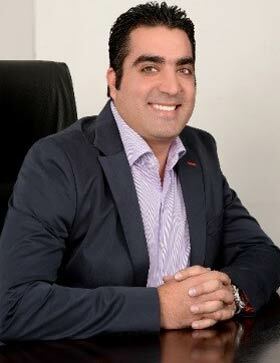 Nadir is an actuary and is a former MD of global equity derivatives trading at Deutsche Bank, based in London. Among the many projects he worked on for the bank, he helped list Telkom on the Johannesburg and New York stock exchanges in 2003. 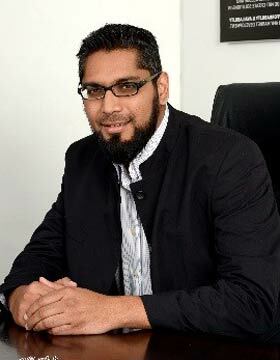 The tech-savvy Shaazim, who was a student at the University of Johannesburg at the time the business was founded, is chief technology officer. Hello Group has since become a significant player in international telephony in South Africa and, more recently, in the international money transfer business, which is where Nadir believes big future growth will come from. The company has quietly built up a substantial subscriber base in the telecoms division of 1,4m people. Headquarted in Centurion in Gauteng and employing nearly 300 people on a full-time basis (and supporting thousands more informally), Hello Group was founded as Telestream Communications when the Khamissa brothers realised there was a huge variation in the price of calls from the UK to South Africa (cheap) and South Africa to UK (expensive). Migrant workers in South Africa were paying huge sums of money to speak to their families and friends back home. The brothers realised that, using Internet calling, they could offer consumers international telephony at rates far less than those offered by Telkom and the mobile operators. Unfortunately, the brothers’ first attempt at building a product to serve the migrant worker market almost killed the fledgling business. Millions of rand, all their own, went up in smoke when the international callback solution they built hit a wall. They had spent a small fortune on telecoms switches and marketing material, and on printing hundreds of thousands of calling cards. The night before the callback service was set to be launched, the two founders went to a public payphone to conduct a final test. They discovered to their horror that Telkom had switched off the touch-tone system for incoming calls. This was essential for the callback product to work, as it required users to punch in a Pin code. But the pair were determined this wouldn’t be the end of their ambitions in the telecoms market, even though they had only R30 000 left in the bank. “We decided to sell our cars and put every last penny we had into the business,” Nadir remembers. Not surprisingly, the big mobile incumbents were none too pleased with the up-start eating into their high-margin international voice business. But third mobile operator Cell C was open to talk about a partnership, entering a deal with the company in 2009. A year later, the company — by then expanding rapidly — launched what is now its biggest consumer brand, Hello Mobile. Hello Mobile is a Sim card product created with Cell C to give migrant workers the mobile operator’s local call rates coupled with Hello Group’s low-cost international calls, all on a seamless basis. To get around the high costs in the distribution chain in cellular in South Africa, Hello Group — using technology as an underpinning for its solution — went direct to spaza shops and other retailers. Today, it handles all of its own sales, marketing and distribution and offers support to consumers in multiple indigenous languages. it has 45 000 registered street vendors and 13 000 spaza shops across South Africa selling its products, says Nadir. But it’s a fledgling business, international money transfer, that Nadir believes will be the “game changer” for Hello Group in the coming years. South Africa, he says, has among the highest international remittance fees in the world. In the same way that the company helped bring down the cost of international calling, it wants to help slash the cost of sending money across South Africa’s borders. There are an estimated 3,5m migrant workers in the country, and officially recorded remittances to the developing world are expected to exceed US$500bn in 2015 — with $50bn of that in Africa alone, according to World Bank numbers. Nadir claims that remittance fees are on average 14% of the total money being sent abroad and says Hello Group, through a new product called Hello Paisa, will do it for less than 5% and far quicker than the alternatives (seconds or minutes, instead of days). Since its commercial launch in March, Hello Group has signed up 70 000 Hello Paisa customers, of which 29 000 have downloaded its Android app for remittances. “People at the base of the pyramid are using our smartphone app in a very material fashion.” Those on older phones can use USSD, and there’s a call centre option, too. Already, the financial technology division of Hello Group employs 150 people. Hello Group was the first company in South Africa to receive an independent money transfer operator licence from the Reserve Bank. The licence, which is accompanied by extensive rules and regulations, allows the company to offer the service on its own without having to partner first with a bank or another financial services institution. It has signed settlement partnerships with big retailers and some of the big banks in South Africa. 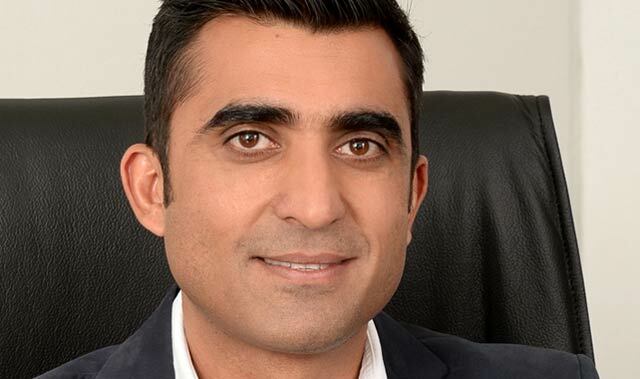 Hello Group is now rolling out its own Hello stores, which chief commercial officer Ahmed Cassim says will help it build credibility and trust among a wider consumer base. “I cannot overstate the importance of trust in the whole ecosystem,” Cassim says. It also has a travel business and what Nadir calls “a few experimental businesses in the media space”. The company has had a number of suitors over the years, but the founders don’t seem to be in a hurry to sell.